Ships from and sold by Simplecom Australia. 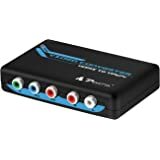 CM501 converts HDMI to Component Video (YPbPr) and stereo audio. 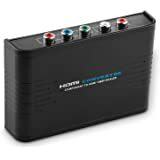 It allows you to enjoy your high definition movies and games on the older component TV's or projectors that don't have an HDMI input. 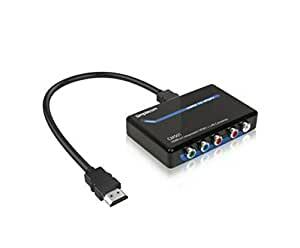 Also, you can easily connect your speaker system with separate component Video and Audio outputs. 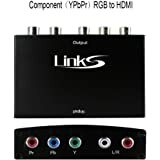 The converter doesn’t support audio decoding and only supports PCM audio signals and doesNOTsupport Dolby, DTS, or other proprietary 5.1/7.1 surround sound signals. 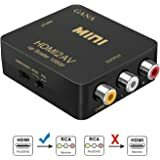 Will not convert audio signal only. 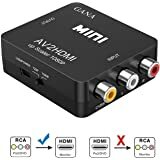 Converting from HDMI to Component only, not capable of being reversed.